Dragon Ball Legends is a new one-finger card action battle game,” which allows players to battle against friends and rivals around the globe in PvP battles while on the move. The game is free to download, but will include in-app purchases to enhance gameplay and speed up player progress. 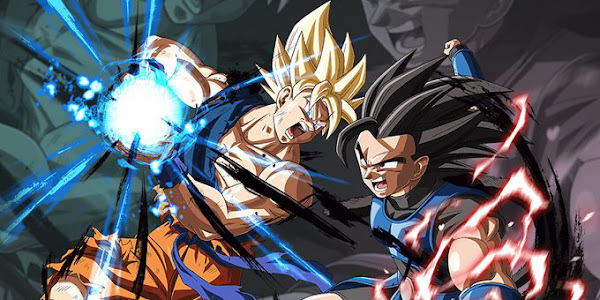 The game's pre-launch campaign was met with alot of interest, with Bandai Namco's reaching all-time record of over 4.5 million total pre-registrations. All those early users who begin playing the game today will receive Goku, Frieza, a rare character and Chrono Crystals (items used to summon fighters in-game) upon download. Besides Goku, a trio of brand new characters - Shallot, Zahha, and a mysterious hooded man, have been included in Dragon Ball Legends.